Until fairly recently, online education amounted to little more than electronic versions of the old-line correspondence courses. That has changed with arrival of Web-based video, instant messaging and collaboration tools. The study combined data from 99 studies with quantitative comparisons of online and classroom learning. The difference in grades was modest but meaningful enough to draw the conclusion, so many drew the conclusion that online > classroom learning. I’d caution against this. As I said in a previous post, computer-based learning isn’t intrinsically more motivating, more engaging, or better than any other kind of learning, but that’s not to say that teachers shouldn’t be doing all they can to make online content accessible, engaging & useful. The entire page was set out like this, with 10 sections laid out with a header, a handful of separate pages giving nuggets of information about the topic, then some links to other websites. The overall effect was completely over facing. Yes, these courses were designed for adults, but the principles of good web design revolve around the central mantra of “keep it simple”, regardless of audience. The standard setup in Moodle is a course broken down by weeks or topics. All resources need structure, but most students using a textbook wouldn’t start flicking through from page one in order to find the subject they’re looking for – they would flip to the index. 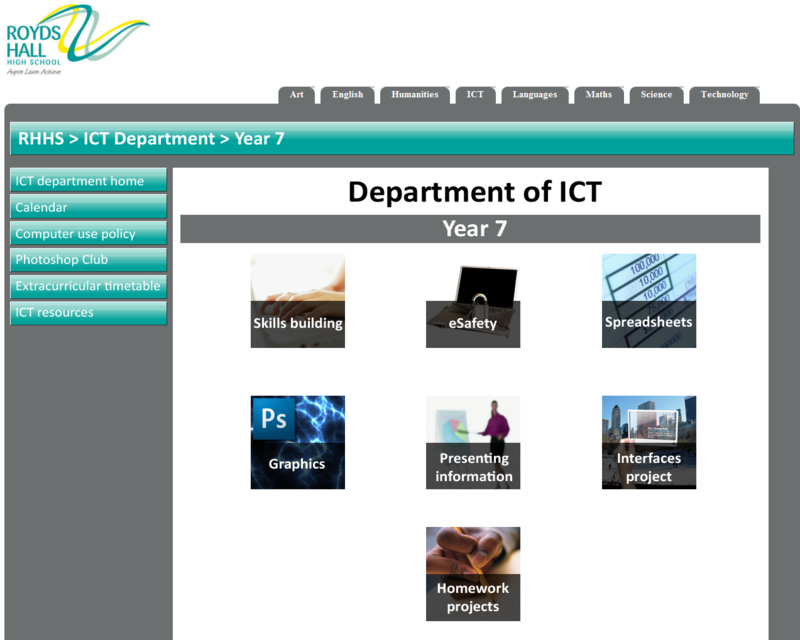 If you’ve put together a webpage that’s double the height of a standard monitor (~2048 pixels), start your course with an overview, including learning objectives & outcomes – just as you would at the start of a lesson. Wherever possible, embed information on the page, don’t link to it. Whether this is a paragraph of text, an image or a Youtube video, students might miss it if you hide it away in a link. This leads me on to my favourite discovery of last year; Adobe Presenter. 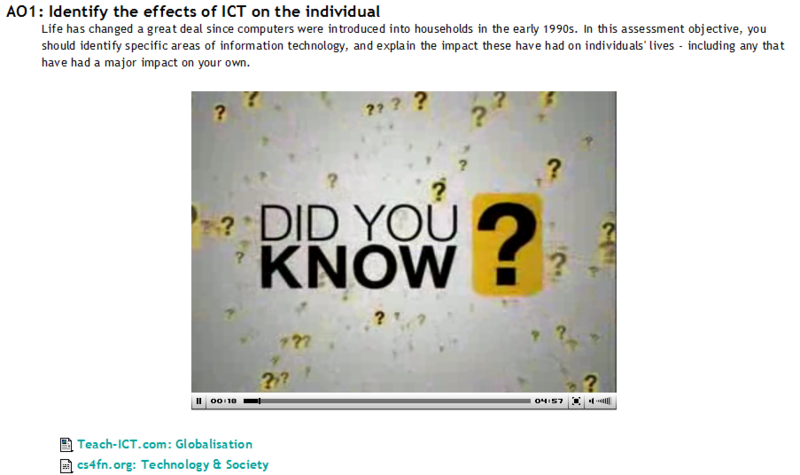 Every Moodle course I set up now starts with a simple presentation that introduces the subject. Because it’s more attractive than standard text, and comes with an element of interactivity in the forward & back buttons, students are more likely to take the information in. Embed these presentations by publishing them online and inserting an iframe to a label on your course. Softening the edges of a Moodle course takes time. Softening the edges of an entire Moodle installation takes even longer, but the benefits are potentially far greater. My school is in the process of switching from the almost impenetrable course list to departmental landing pages as the main way for students to access information. 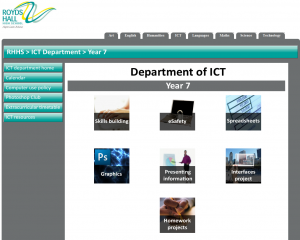 Don’t just use your VLE to present information to students. Put activities on it to encourage them to engage with the content. Hot Potatoes quizzes, Flash-based activities, crosswords, etc. Break Moodle courses into suitable chunks – lessons, topics – using headings, subheadings & indentation to show flow of information. Wherever possible, embed information in the body of your course rather than linking to it. If you have the equivalent of a page of text, link to it, but include anything shorter to improve readability. Having to have a dozen tabs open to read all of the information on a course is not usability in action. Textbooks rarely contain spelling mistakes. Not so for websites. With the increasing push to electronic media replacing textbooks, it is essential to retain quality & reliability. Read through the text on your courses, check the links, and if possible have someone else do it too.